Leeds-based indie band Friends of Friends started out as the bedroom project of singer and guitarist Robbie Tooth. With help from guitarist Dominic Marshall and drummer Tom McAndrew, the band began to record material and, soon thereafter, Tom relocated from Bristol to join the band permanently. The trio spent a year writing and refining their sound before hitting the studio to lay down the tracks. Since then, Friends of Friends have attracted the attention of BBC Introducing, toured the north of the country, and recently released their first collection of songs. 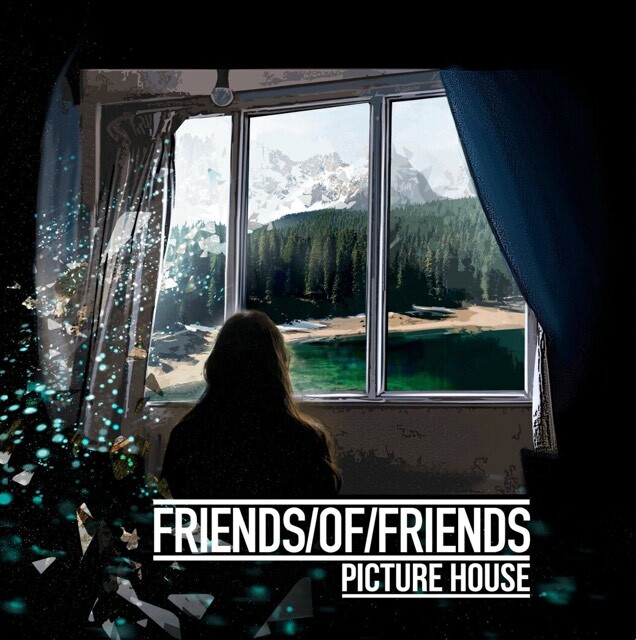 A haunting contemplation of the prospect of change opens Picture House, setting the tone for a band that captures the best sounds of the 70s in the most current way. The Forge is two minutes of acoustic, harmony-laden perfection. Also, the distant echo of tweeting birds in the backing track – perhaps a reference to the band’s organic growth, or maybe the beginnings of a Twitter storm surrounding the release of their music. From the onset, hooky synths blend the classic sound of the last track with a commercial rock sound that could have come from The Killers’ latest effort. Whilst not an arresting sound, its one that we went back to over and over again – we wouldn’t be surprised to see this on a Spotify summer playlist next year! If there was one song that captures the band’s journey it’s this. Moody verses, an anthemic chorus, a lyric dealing with the prospect of growing up and trying to make a name for yourself (something we can all relate to), Footsteps gives the music world hope that, in a world of talent shows and backroom deals, bands can still make it the ‘old-school’ way.